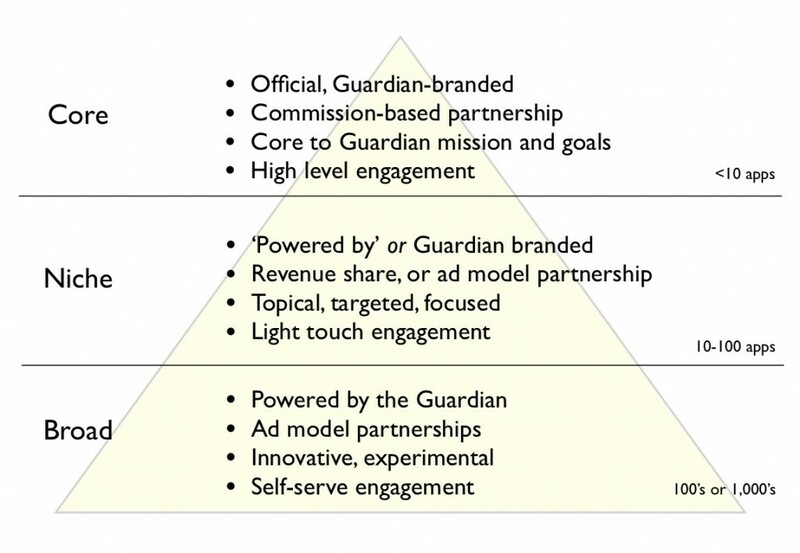 We’ve implemented a tiered access model that I think is a first in this space. We have a simple way to work with anyone who wants to work with us, from hobbyist to large-scale service provider and everything in between. We’ve created a new type of ad network with 24/7 Real Media’s Open AdStream, one where the ads travel with the content that we make available for partners to reuse. That ad network is going to benefit from another first which is Omniture analytics code that travels with the content, as well. License terms that encourage people to add value are rare. Using many of the open license principles we developed T&Cs that will fuel new business, not stop it. Hosted in the cloud on Amazon EC2 the service scales massively. There are no limits to the number of customers we can serve. The API uses the open source search platform Solr which makes it incredibly fast, robust, and easy for us to iterate quickly. We introduced a new service for building apps on our network called MicroApps. 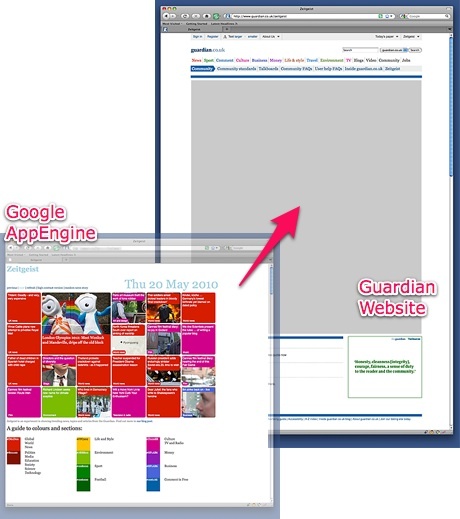 Partners can create pages and fully functional applications on guardian.co.uk. Stephen Dunn and Graham Tackley provided more detail in a presentation to the open source community in Prague at Lucid Imagination’s Solr/Lucene EuroCon event. You can learn more by reading 2 excellent blog posts about MicroApps. Dan Catt explains how he used MicroApps for Zeitgeist. Since most of the MicroApps that exist today are hosted on Google AppEngine, the Google Code team published Chris Thorpe’s insights about what we’re doing with MicroApps on their blog. Now we have lots of big triangle diagrams (see below) and grids and magic quadrants and things that we can put into presentation slides that help us understand and communicate how the ecosystem works. Congrats! This is full of awesome.